Adults 12+ • Children 0-12 Yrs Old. 0330 043 2134 Chat to us on whatsapp Click the phone icon in whatsapp to call us for free. Andorra Travel Service was live. Please enter your email address in the box below then click on the "Reset your password" button below. The price quoted in the email is not guaranteed for future booking. The email address you provide will only be used for emailing your price quote and not for any other purposes. By clicking on the "send link" button below, you confirm that you have the consent of the individual(s) whose detail you are supplying. If the relevant airline is not listed here, please contact us in advance of booking to retrieve the airline terms and conditions. combined cost of cancelling will be the sum of the above schedule plus the cost of flight plus flight extras. Alongside this, other extras booked are non transferrable. Please note that any deposit paid can contribute towards this. Failure to pay this charge will result in legal action. By us: We reserve the right to cancel your holiday in any circumstances. If we are unable to provide the booked holiday you can either have a refund of all monies paid or accept an offer of alternative travel arrangements of closely similar standard and price (if available) or a choice of specified travel arrangement of a lower standard to the holiday booked together with a refund of the difference in price.? Compensation You are entitled, if appropriate, to be compensated by us for the non-performance of our contract with you (i.e. if we cancel or make a significant change to your booking), except where: the package is cancelled because the number of persons who agreed to take it is less than the minimum number required, and you are informed of the cancellation in writing within the period indicated in the description of the package; or the package is cancelled by reason of unusual and unforeseeable circumstances beyond our control, the consequences of which could not have been avoided if all due care had been exercised an element of the package has been cancelled by an external company. This includes any festivals or events that make up the package. If any events run by external parties have been cancelled, for example a festival ticket or activity ticket, and we are unable to find suitable alternatives, you will be refunded for the cost of the festival or activity ticket at the price we purchase them for. We are not liable for the cancellation of any events that make up the package. You will not be refunded for your entire booking in this situation. Transfer cancellation If your planned transfer has been cancelled by the operator and we are unable to find a suitable replacement, you will be refunded for that element of the package. This will be a maximum of £38.00 each way. In the event of missed connecting transfers caused by flight delays or otherwise, Andorra Travel Service will place you on to the next available transfer service of the type you have selected. Andorra Travel Service will not be responsible for any missed services, such as foregone hours of skiing, caused by such delays. If an unforeseen event which could not have been avoided if all due care had been exercised impedes implementation of the trip to a major extent, endangers it or interferes with it, then either party can terminate the contract. Where Andorra Travel Service is the party affected by such an event, Andorra Travel Service will provide Customers with prompt assistance and take the necessary measures to bring Customers back to the place where their package started. Any additional costs will be covered by Andorra Travel Service. Where Customers are the party affected by such an event, Andorra Travel Service will not be obliged to refund them any sum for services which have not yet been performed. Customers will also be responsible for paying any additional costs associated with getting back to the place where their package began. Please enter your card details below and click on the "submit payment" button to make your payment. These are approximate journey times to and from our resorts and depend on weather and traffic conditions. Please bear in mind that in peak weeks they can be longer. How do I receive my vouchers for my transfer bookings? You will be able to download and print your transfer vouchers from your account booking page. Please print these vouchers to hand to the coach driver. Andorra Travel Service is proud to be a member of Protected Trust Services (PTS). PTS offers the highest level of financial protection for your holiday arrangements. PTS provides you with complete protection against the failure of both the travel company you book with as well as the suppliers they use. This protection lasts from the point that you book your holiday through to the point when you return. You can enjoy every holiday booked through a PTS client knowing that you have 100% financial protection and full peace of mind at all times. Can we pre-order lift passes, skis and boot hire through you? Booking a bundle deal – you can upgrade your hire equipment to the latest equipment or even add lunch on the mountain – checkout the Upgrades Tab. 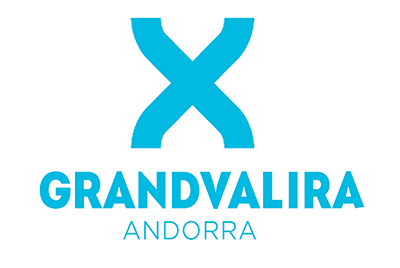 What are the child ages for Ski Extras in the Grandvalira area? What are the child ages for Ski Extras in the Pal, Arinsal area? How do I receive my vouchers for my ski extra bookings? You will have ski pack vouchers in your account these are for reference only. You can only use the vouchers issued in resort for each ski extra or activity service. We take deposit payments for bookings that are more than 8 weeks before your arrival. When do I pay the final balance? The full balance is required 8 weeks / 56 days before your arrival date. If travel is within 8 weeks of making the booking, payment is required in full at time of booking. We can take debit and credit cards (Visa or Mastercard) payments. Deposit paid bookings – You will receive an email payment notification when it is time to pay your balance. our team are in Andorra all year round to help you. Can we pay for a Group Booking Separately? If you have made a group booking but would like to pay separately we can do this via phone. Please just make a note of the booking number give us a call – we can then assign the payment to the group booking. Can I make Part Payments on a booking? and judging by customer feedback we get it right most of the time. and we will do our best to beat it, no guarantees but sometimes a bit of human intervention is a good thing. I am looking to book a shared transfer coach i’m not sure which destination stop to choose? If you cannot find your accommodation name listed, please select the resort you are going to – then just contact us with your accommodation name and we will confirm the nearest point for you. Please also make a note of the Accommodation name and Resort during the checkout process in the any other information boxes provided. I am looking to book a private transfer? If you cannot find your accommodation name listed, please select the resort you are going to. You can then update your accommodation name during checkout – private transfer where possible will be a door to door service. Your departure pick up time will be in your welcome envelope – please also contact our office three or four days before departure to confirm the pick up time times. What if my flight time changes? Please just let us know as soon as you can and at least two hours before the scheduled transfer time and we can change your transfer to suit. What happens when we arrive at the airport? The pick up point information and directions are included with your Shared Transfer Vouchers – which can be printed from your account. For Private Transfers – this will be a meet and greet service, the driver will have your name on a board in the arrivals hall of the airport. Will I be dropped off outside my accommodation? You can select a drop off point via our website. The coach driver will drop you off as near to your accommodation as possible, please note that due to some streets being particularly narrow or steep you may be dropped close by and potentially have to walk a short way. The driver will drop you off as near to your accommodation as possible, please note that due to some streets being particularly narrow or steep and dependant on vehicle size you may be dropped close by and potentially have to walk a short way. If the snow is particularly heavy this could affect the exact location you are dropped off or collected. Where is the return transfer pick up point? The pick up point can be selected at the time of booking, this is generally on the other side if the road to where you were dropped off. If you are not sure please just give us a call or drop us an email and we can let you know, or ask the driver on the arrival transfer to point this out for you. How long is the transfer to Andorra? The approximate journey times to our resorts are below, but they do depend on weather and traffic conditions. Please bear in mind that in peak weeks and bad weather these can be longer. When choosing a return transfer time please ensure you have enough time to allow for bad weather and any traffic delays. Do all children get a seat on the coach? Yes all children, including infants, are allocated a seat for our transfers. Do all of your coaches have seatbelts? All of the coaches and vehicles we use for your transfers will be fitted with a seat belt or a lap seat belt. My flight lands 30 mins before the coach departure time? We would advise booking the next transfer time, If there’s a flight delay or any hold up with your luggage coming through you’d miss that transfer and you will need to re-book the next available transfers. The best option would be to book the later/next bus time then if you do make it through early, make your way to the bus stop show the driver your transfer vouchers for the next service, and if the driver has space on the coach you will be able to use that service. This way if you miss the earlier bus you will still have seats on the next service. If my flight is delayed will the transfer coach wait? No sorry – These are a timed service and run to the scheduled timetable and are not linked to any flight times. As soon as you are aware of any flight delay please contact us to change your transfer arrangements. Yes. This is a flight meet and greet service, please just let us know of any delay and we will also keep an eye on the arrivals board at the airports. We’re driving, is parking available? We have indicated on each hotel or apartment page if parking is available, if you are unsure please call us. It would be a good idea to pre book parking for busy weeks. How do I receive my vouchers for my accommodation bookings? You will be able to download and print your accommodation vouchers from your account booking page. Please print these vouchers to hand to the accommodation reception. How do I receive my reference number for my flight bookings? 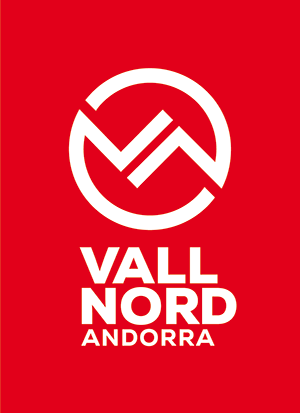 All flight bookings via the Andorra Travel Service website are direct with the Airline. When you receive your confirmation email this will contain a link where you will be required to add your advanced passenger information direct on the airlines website before travel. At this point you will also be able to add any ski carriage and/or pre book seats. Do I have to book my flights with Andorra Travel Service? If you find flights with any Airline that are more suitable for you and your group, you are free to choose and book any flights direct. You can then link the flights to our transfers, hotels, apartments & ski extra deals – to build your ideal holiday. Please note we can not price match flight prices. Check our Airport transfer page to see our transfer times. Do I have to book all of my holiday elements with Andorra Travel Service? You are free to mix and match and book all your holiday elements or just the ones that suit your needs with us. Your Phone numbers are UK & Ireland local numbers – do i have to pay for this to be connect to Andorra? Our UK and Ireland phone numbers are charged at local call rates when calling from the UK or Ireland, and the numbers are included in mobile and landline bundle minutes. We pick up the bill to transfer this call to our Andorra offices. What are the child ages for flights? Most Airlines charge the Adult rate for anyone aged 12 years and older. What are the child ages for transfers? Infant – Under 3 go FREE! What are the child ages for accommodation? The prices for BB and Half Board are generally charged in the following age groups. Infant – Under 4 go FREE! Pricing for Self Catering, Studios and Apartments is based on the room and not per person. We do offer a price matching service (excluding flights) if you have found something cheaper elsewhere, just send us the quote and ask us to beat it? When - do i receive my Lift Passes, Hire and other Vouchers? You will have vouchers in your account these are for reference only – please use the vouchers issued in resort for each service. Where - do i receive my Lift Passes, Hire and other Vouchers? This will be printed on your account booking information vouchers. contact us to make any other arrangements. The actual lift passes activated ready to use will be in your welcome envelope ready for your arrival. How do I receive my Ski and / or Snowboard Hire Vouchers to use in resort? Please hand these ones in to the shop – your equipment can be collected on your arrival day after 4pm. How do I receive my Ski & Snowboard School Vouchers to use in resort? These will be in your welcome envelope, please hand these to your Ski instructors on the first day. How do I receive my Activity Vouchers to use in resort? These will be in your welcome envelope, please hand these to your activity provider on the day. We work will a number of shops in each resort, a hire shop will be allocated based on your accommodation location or personal choice. You allocated hire shop will be shown in your account near to your arrival day. Know the shop you want to use – Please add your preferred choice on checkout in the any other information box – and we can allocate that shop for you. Equipment Hire Vouchers – these will be in your welcome envelope you receive on your arrival day. Location: In front of the Canillo Gondola. Location: At the top of the Arinsal Gondola – Lockers available to rent. Location: In front of the La Massana Gondola. What day does the group Ski & Snowboard School start? Weekly Group Lessons can only be started on Mondays. Please hand these to your Ski instructors on the first day. Soldeu - What are the Group Ski School Lesson Times? Private Lessons are also available – please contact us direct to book. One group are the morning group and the other the afternoon group, times below. The ski school reserves the right to change lesson times. El Tarter - What are the Group Ski School Lesson Times? Pas de la Casa - What are the Group Ski School Lesson Times? The group ski school is based on two groups daily,. Weekend Group Ski School Lesson Times? Arinsal - What are the Group Ski School Lesson Times? One group are the morning group (they also have an hour in the afternoon) and the afternoon group just have afternoon lessons, times below. Pal (La Massana) - What are the Group Ski School Lesson Times? The group ski school is based on one group daily. Day… . Lesson Times… . If you need to cancel your holiday and/or withdraw from any planned bookings at your option, please notify us as soon as possible.